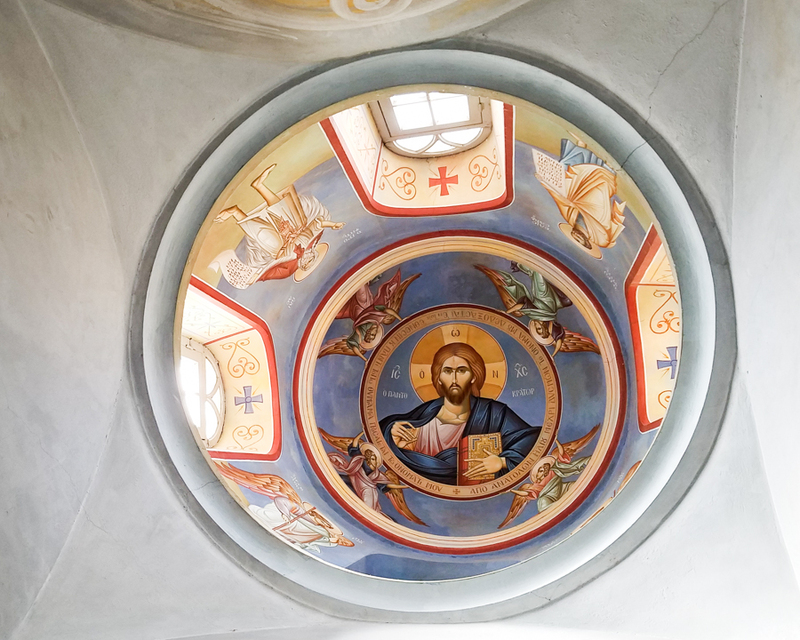 In the fourth century, the Monk Chariton, from Iconium in Turkey, established this monastery. 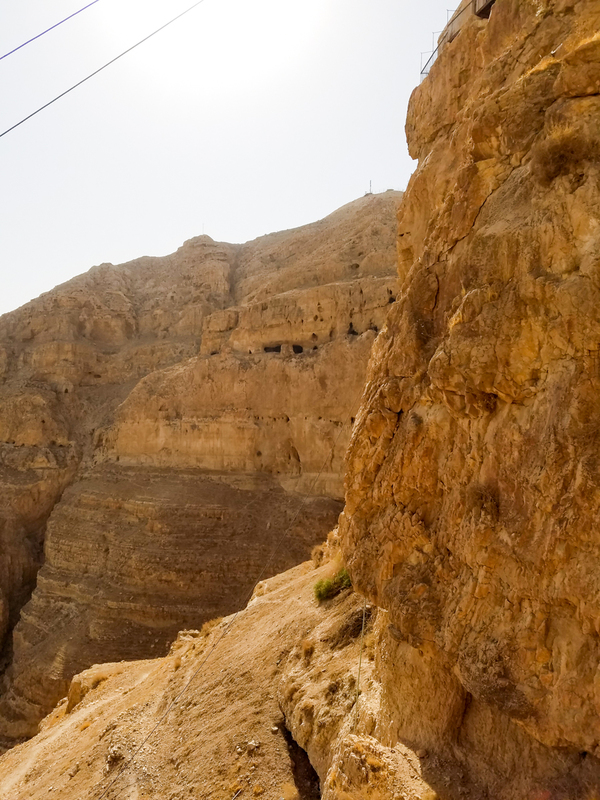 The Monastery of the Temptation is built into a cliff overlooking the city of Jericho rising 350 meters above sea level. 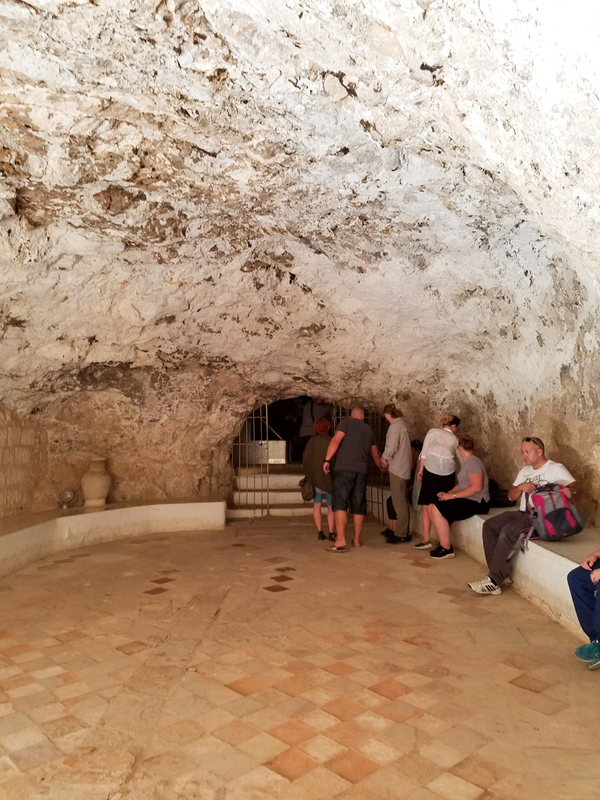 The earliest monastic establishment here was built in the 6th century over the cave traditionally thought to be where Jesus spent 40 days and 40 nights. 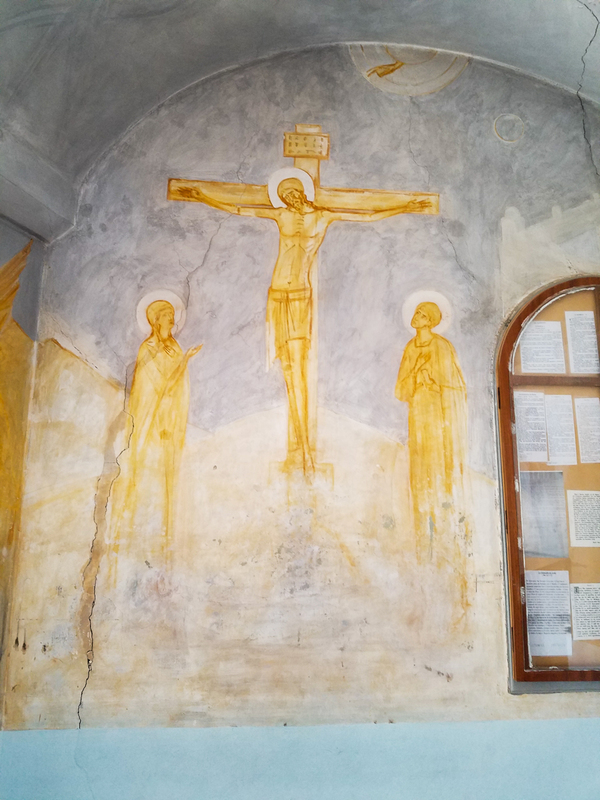 Saint Helena in 326 identified this as a holy site, in her pilgrimage. It was a laura, that is a community that has both solitary and community lifestyles. 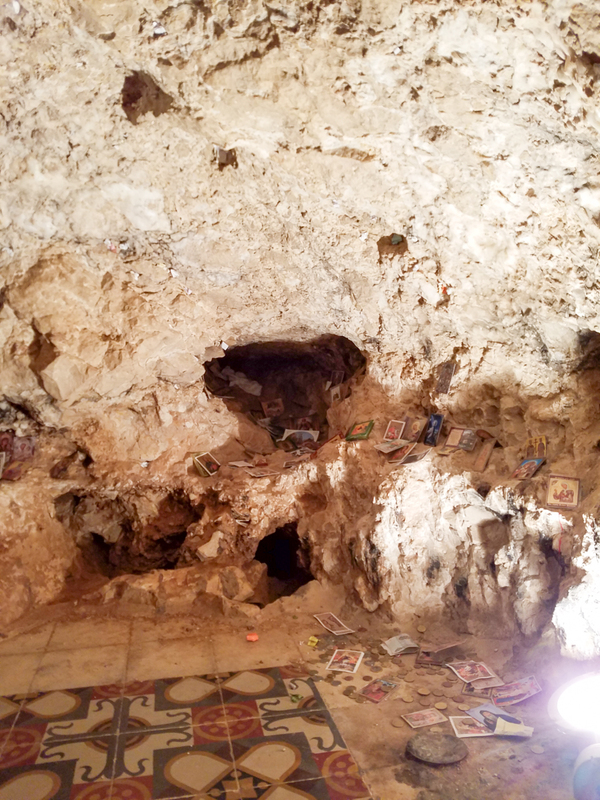 This cave deep into the monastery is a place of prayers and pilgrimage. 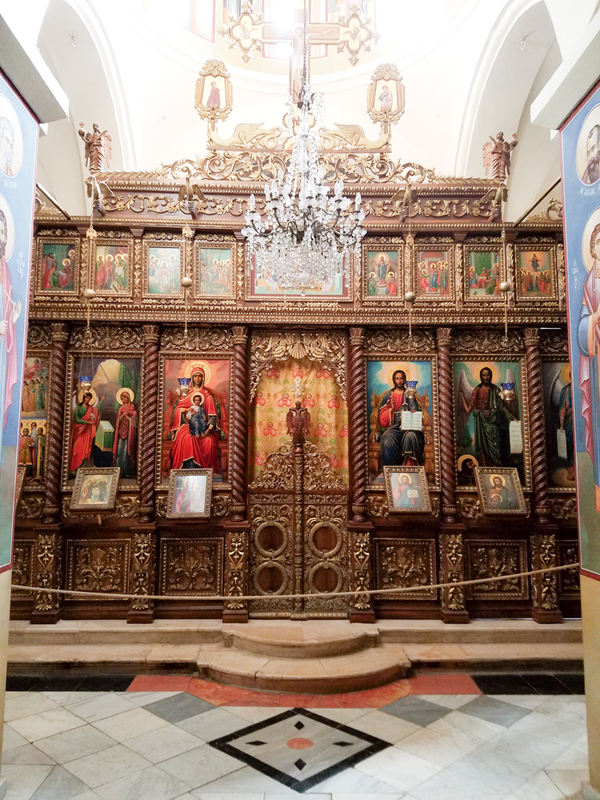 The icon screen in the monastery church. 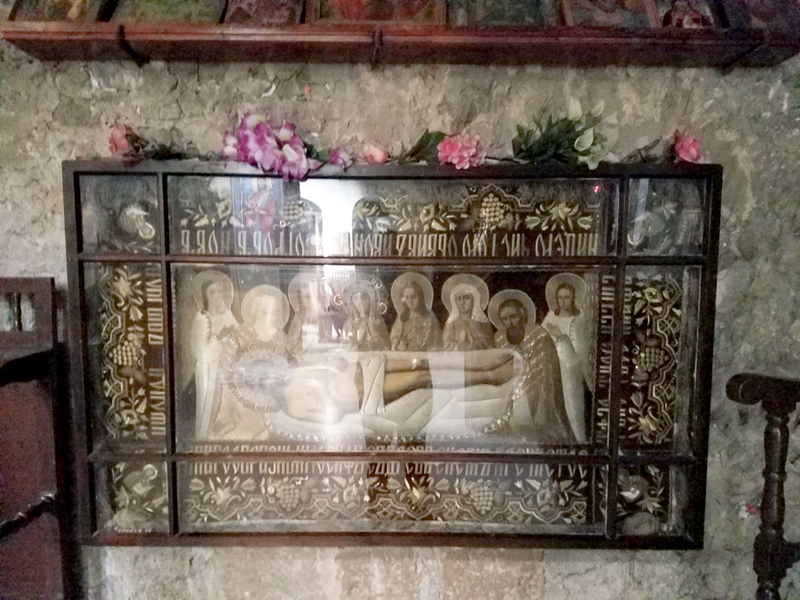 The Virgin Mary and John the Baptist offering prayers of intercession to Christ. 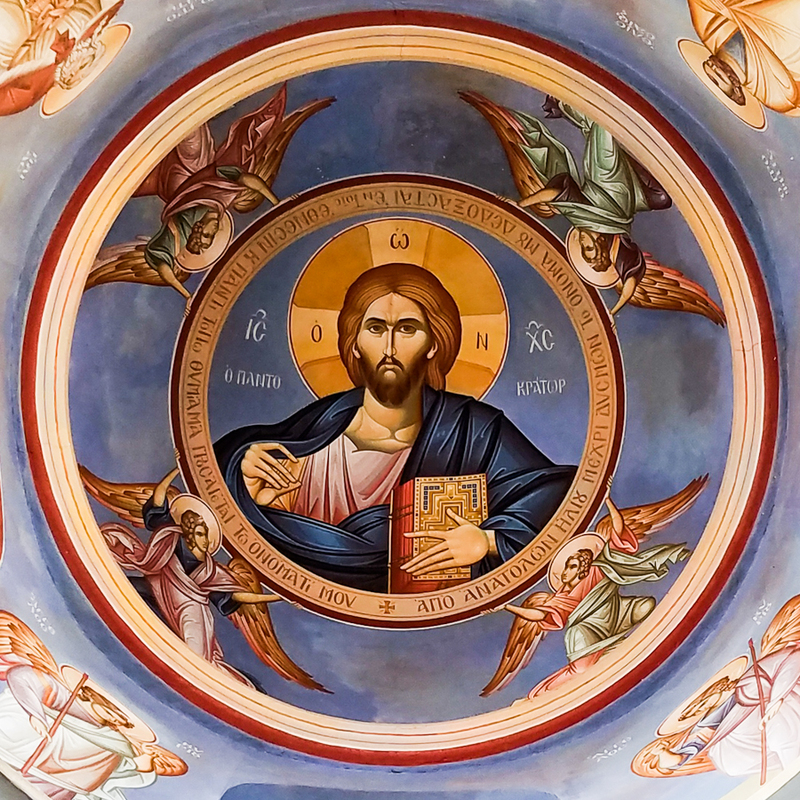 Gazing heavenward towards Christ, the Pantocrator, the Almighty. The Virgin Mary presenting the Christ Child to the world. 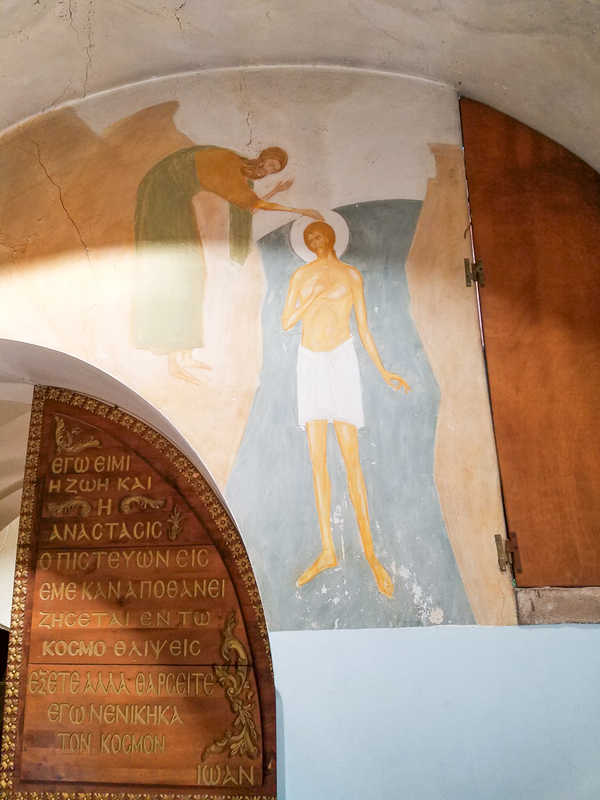 After the Baptism in the Jordan River, the Spirit drove him into the desert. 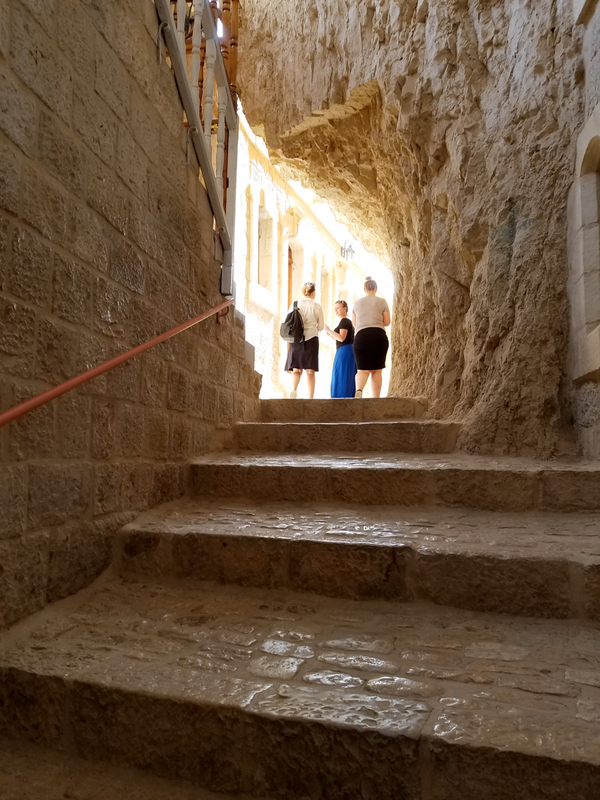 According to ancient Christian tradition, this monastery commemorates the Mount of Temptation. 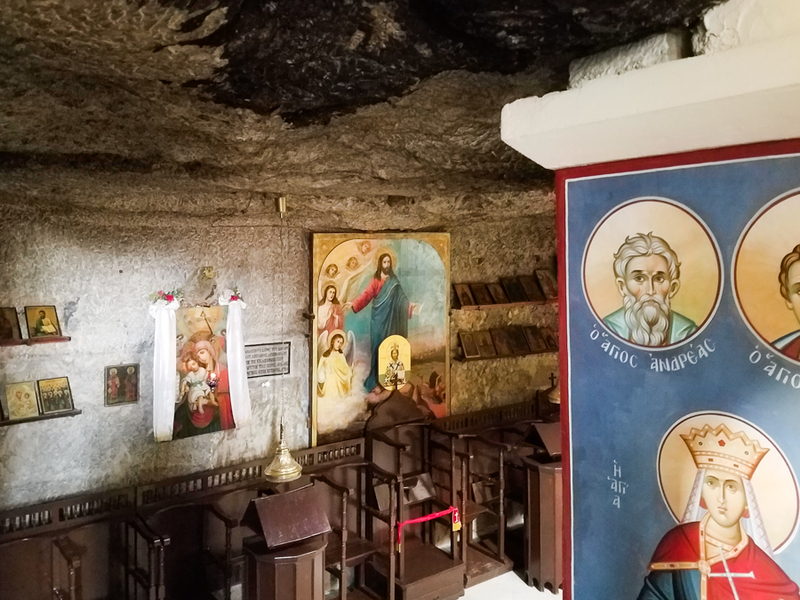 Notice how the chapels are carved into the pre-existing caves of the mountain. 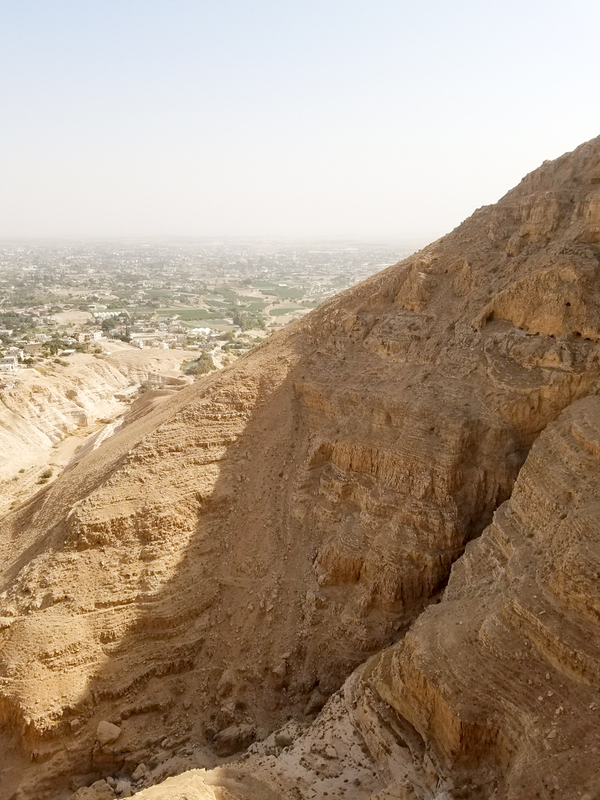 Looking down from the Mount of Temptation to Jericho and beyond to the River Jordan. 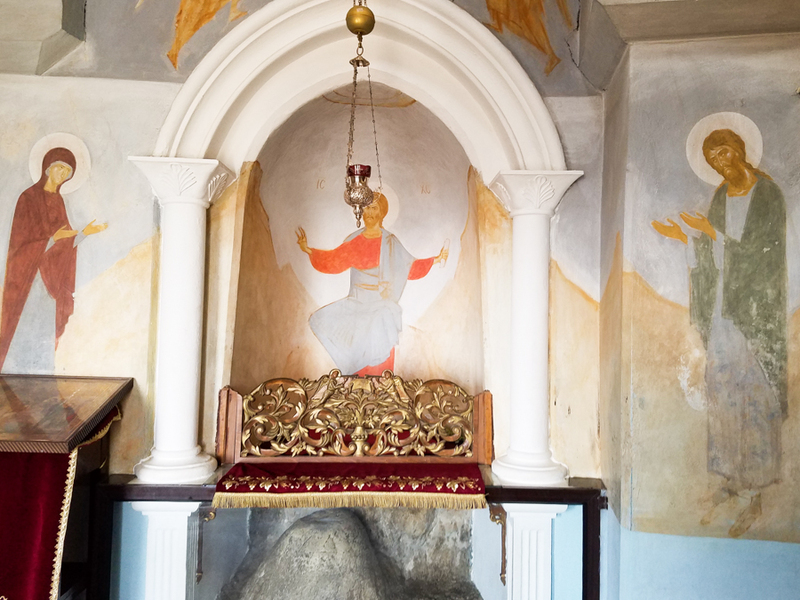 This entry was posted in Christianity and tagged Chariton, Holy Land, lavra, Monastery, Mount Temptation on May 9, 2017 by frjfkauffmann.